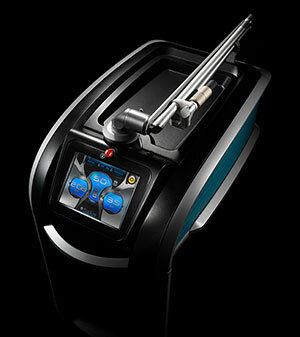 PicoSure delivers short-pulse bursts of energy to the skin in trillionths of a second. With data indicating that an estimated 20 percent of the 45 million Americans with at least one tattoo want to have it removed, the FDA clearance of PicoSure creates a first-mover advantage to treat a large and vastly underserved market. Roy Geronemus, M.D., Director of the Laser & Skin Surgery Center of New York, performed a study in which 22 subjects with multicolored and recalcitrant tattoos were treated with PicoSure over a two-week period. The results demonstrated greater than 80% overall tattoo clearance. On average, 94% clearance was achieved for blue and green ink. The picosecond laser’s shorter pulse duration erases tattoo pigment more efficiently, leading to a higher level of patient satisfaction and improved results compared with current nanosecond technology. Picosecond technology more effectively targets blue and green pigment, which is typically difficult to remove. In addition, PicoSure more rapidly lightens other colors, with improved recovery time due to less collateral injury to the surrounding tissue. Boston dermatologists Kenneth A. Arndt, M.D. and Jeffrey Dover, M.D., Directors of SkinCare Physicians in Chestnut Hill, Massachusetts, called PicoSure “the most dramatic improvement in the treatment of tattoos and pigmented lesions in more than two decades” and said they expected the product to rapidly become the “first-in-class treatment” for these indications. PicoSure delivers photo thermal and significant photomechanical effects to the tattoo or pigmented lesion while leaving the surrounding tissue unheated. The speed of the picosecond laser makes this technology ideal for aesthetic applications in which large photomechanical stresses are applied to a particular target. PRNewswire via COMTEX/ –Cynosure, Inc.